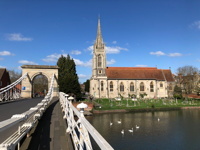 This year's Perl Toolchain Summit (PTS) is being held in the UK, in the historic town of Marlow, which is about 30 miles west of London. In this post we'll give an overview of the PTS and who attends, the venue, and the plans for this year. All of the attendees are volunteers, who mostly work on the CPAN ecosystem in their spare time, so the event is supported by sponsorship. If your company uses Perl, maybe you could support the PTS? For this twelfth edition, the entire event is being hosted at Bisham Abbey, which was once home to Henry VIII and Elizabeth I. Attendees will be working in the Abbey itself, and staying in the National Sports Centre, which is part of the same complex. PTS runs from Thursday 25th April through Sunday 28th. PTS 2019 is being organised by a team who are all experienced with this event: Neil Bowers, Philippe Bruhat, and Laurent Boivin have all been helped with 5 or more editions of this event. Neil is hosting the event -- Marlow is his home town. This event is only made possible with the support of our community: many of the attendees could not come without their travel and or accommodation being covered by sponsorship. If you're interested in helping the PTS, please get in touch with Neil: neil at bowers dot com. 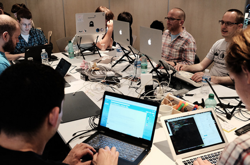 What improvement is planned in 2019 Perl Toolchain Summit? As a minimum, everyone attending will already have a backlog of bugs and known issues to work on. Having a 4-day block gives people time to get to the gnarly issues that can't be knocked off in a short session one evening. Over the next 4 weeks everyone will be compiling their plans, and comparing notes. We'll be doing a blog post soon where we ask for people to shout out if there are specific things they'd like to see addressed.